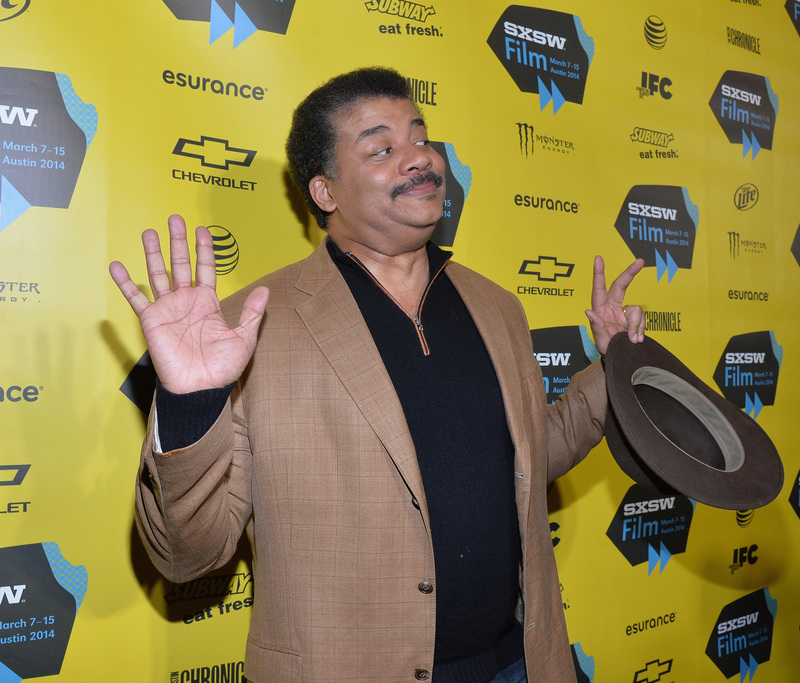 We can all agree that Neil deGrasse Tyson is the best, right? And if not, then maybe this will convince you: During a recent lecture, Neil deGrasse Tyson gave life advice to a six-year-old — and not only was it exactly the perfect answer to her question, but even better, it was life advice every single one of us should be following. And hey, guess what? There’s a video of it. Consider this your life-affirming piece of wonderfulness for the day. As you might expect, his response is magnificent; as Alicia Lute wrote at Nerdist, “I mean, if that doesn’t convert every kid into a budding scientist, artist, or explorer, I don’t know what will.” True that. But I also think it’s something even grown-ups could stand to remind themselves of every so often, so here’s how it went down. She started to say “yes,” then switched to “no,” giving it the kind of “Ye — noooo…” effect that is always so marvelously comedic. To which he replied, “Tell them that Dr. Neil deGrasse Tyson said to let you jump in the puddle…"
And he’s absolutely right. We can help the earth by being curious, by exploring, by seeking out new knowledge and finding out things we never knew before. We can help it by broadening our horizons, by asking questions, by thinking expansively rather than limitedly. We can help the earth by remembering that it’s an amazing place, and that the creatures who populate it are amazing, too. We can help it by approaching problems positively instead of negatively. Even if you’re not a scientist, looking at our world through this lens will open up a whole new way of seeing things. And that is awesome, both in the slangy sense and in the original one. Life really is awe-inspiring. Let’s not forget about that.